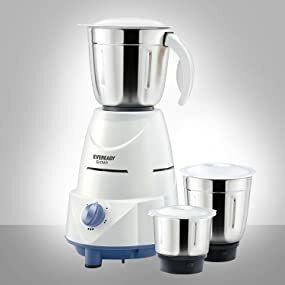 The Eveready glowy 500 watt mixer grinder fixed with a heavy duty motor and equipped with simplistic electrically enabled operations, allows you to accomplish all your routine blending, mixing and liquidising operations with extreme simplicity. 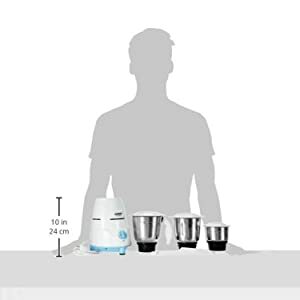 This elementary mixer grinder is compactly designed to save you a lot of kitchen space; not to mention it is extremely easy to clean and maintain as well. Rotation Speed of the blades can be adjusted as per requirement, using this regulator up to three levels. The regulator is also equipped with a pulse control feature when only a brief pulsing is required. 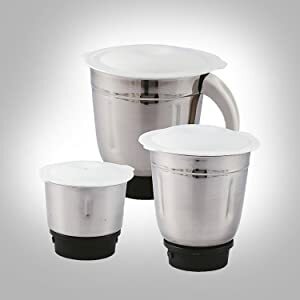 This Glowy mixer grinder is accompanied by three differently sized jars to fulfil multiple functions covering the entire gamut of your routine operations, be it liquidising, grinding, blending etc. 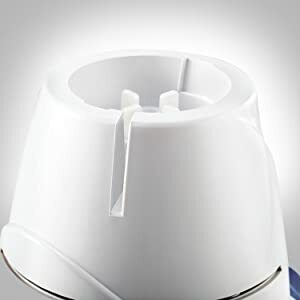 The Glowy Mixer is efficiently designed to form a compact and sleek main body, thus saving you a lot of your valuable space on the kitchen counter. 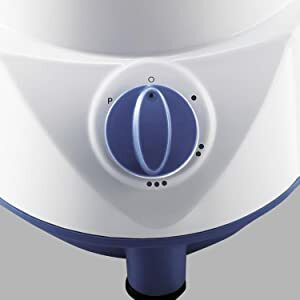 Glowy is equipped with motor overload and over-heating protection feature. 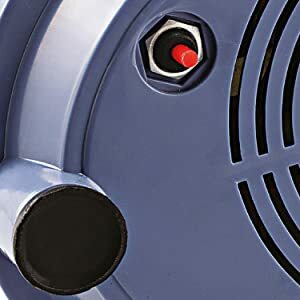 It is a small red button towards the base which prevents any accidents due to overheating. 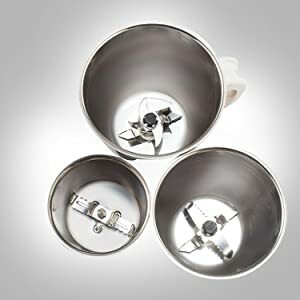 The main body of the mixer is equipped with drain cuts which makes it very easy to clean in case of any spillage. It also bears a locking mechanism to hold a firm grip on the jars. At Eveready, we have had an eventful and rewarding journey for the last 100 years and more. We have become an integral part in the daily lives of millions of Indians. We have emerged as one of India’s most preferred brands. We have retained and strengthened our timeless appeal, touching lives and bringing hope to millions. 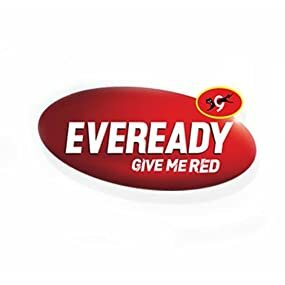 As the undisputed market leader in the batteries segment, commanding over 50% of India’s market share, and holding 75% of India’s organised flashlights market, Eveready has always reinforced its brand reach, with competencies that equal the best in the world.